The Riihivainio industrial and business area currently hosts dozens of enterprises and provides employment to about 300 persons. Thanks to its excellent location, it is most likely to develop into an extensive industrial and logistics centre. The industrial area is located right by the E8/E75 motorway, where it can be seen from the motorway, a little south of the City of Oulu. Looking at the map of Finland, Kempele is located in the centre of the country, which is optimal in view of the compulsory rest periods of lorry drivers. The industrial sites are available for purchase or rent. 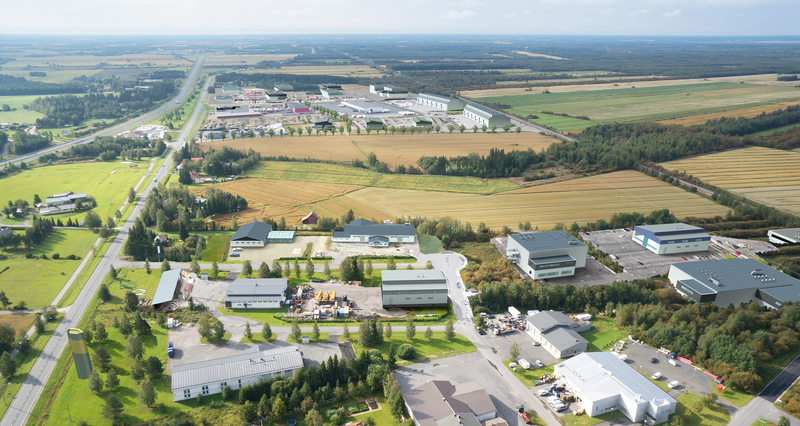 The sales price of Riihivainio industrial sites is €10/m2 and that of the logistics sites €12/m2. The rental fee is 6 percent of the sales price /year + index. The available industrial and business sites can be found in the Marketplace for plots. Logistics and industrial companies are offered plots of various sizes, from 3,000 to 30,000 m2. Plots can be modified according to the needs of individual companies. Municipal engineering has been installed in the areas that have a town plan. Companies offering supporting services for logistics companies are also encouraged to move to the area.